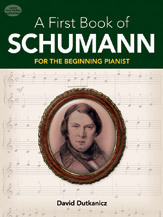 The beginner's piano book spotlights the music of one of the Romantic movement's most influential composers, Robert Schumann. Its easy-to-play renditions of Schumann's beloved works progressively increase in difficulty and are accessible to novices of all ages. 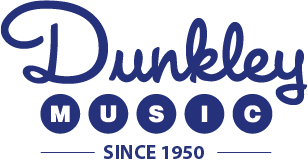 Contents include selections from Forest Scenes, Scenes from Childhood, Album for the Young, and Carnaval, a collection of short pieces representing revelers at a masked ball. Selections include "Traumerei," "Happy Farmer," "Papillons," and other melodies for solo piano.